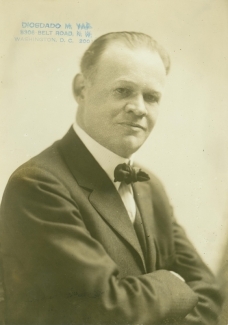 Graham B. Nichol, a flamboyant police and city hall reporter for the Washington Times, conceived of the National Press Club during a chance meeting with reporter James Hay Jr. (not pictured) in February 1908 on the corner of 14th and F streets. A few weeks later (March 12), Nichol convened a gathering of 32 journalists at the Washington Chamber of Commerce to found the Club. 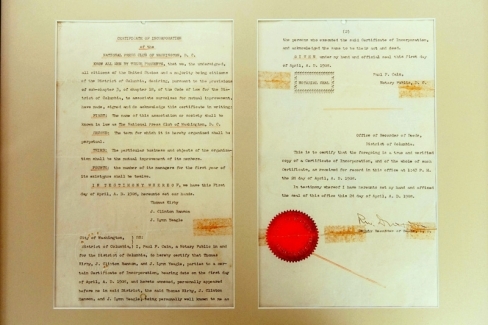 The National Press Club first opened its doors above a jeweler’s shop at 1205 F St. on May 2, 1908. Its first president was William P. Spurgeon, managing editor of the Washington Post and an immigrant from England. 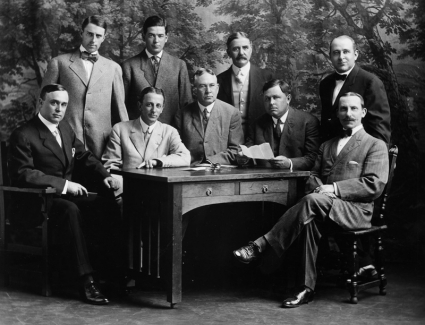 The 1910 Board of Governors included newsmen from the Chicago Tribune, Washington Star, Kansas City Journal, Boston Herald, Washington Herald, Pittsburgh Gazette, and the Associated Press. The National Press Club moved to spacious new quarters ─ its third site ─ in 1914 at the Riggs Building on the corner of 15th and G streets. 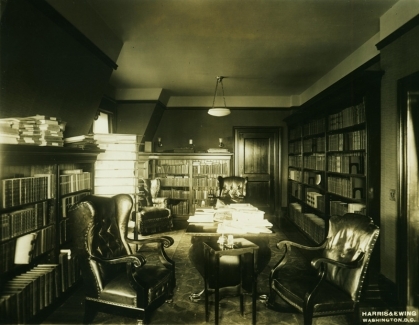 Here is the Club’s library (photographed that year) which housed runs of the principal newspapers of the day, recent books by members and reference works. The National Press Club moved to spacious new quarters ─ its third site ─ in 1914 at the Riggs Building on the corner of 15th and G streets. 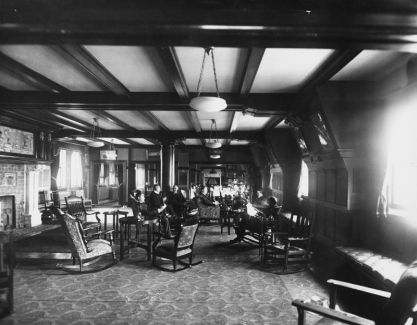 Here is the main clubroom (photographed that year) with its massive fireplace and walls lined with newspaper mats. 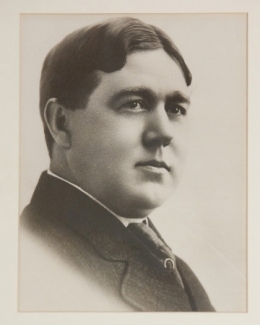 1914 National Press Club yearbook. 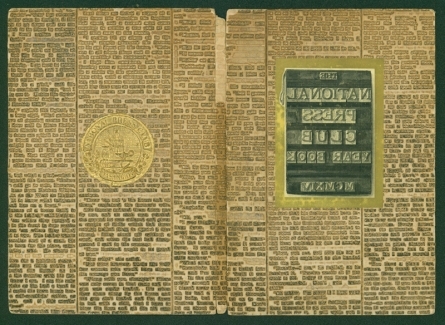 The front and back covers feature facsimiles of newspaper mats, and the title is in reverse ─ a reference to the reverse order in which type was composed in the manually operated printing presses of an earlier era. 1914 National Press Club yearbook. 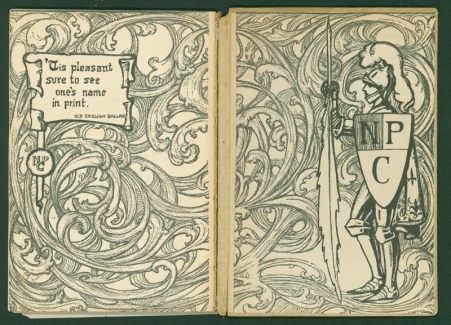 The inside covers feature an ornate Art Nouveau-inspired design.